This experiment demonstrates static electricity in action. 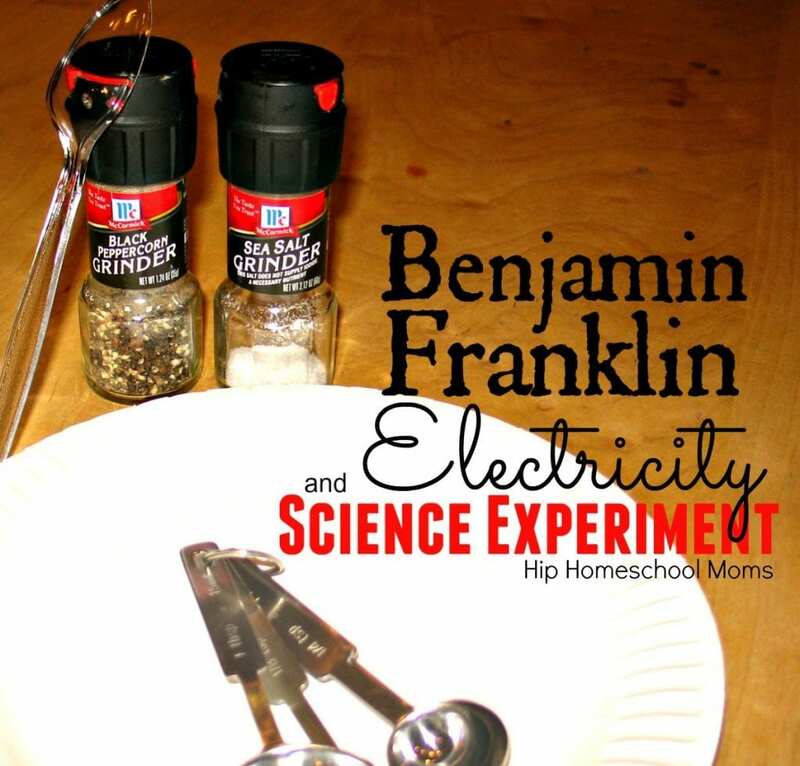 Electricity was discovered by Benjamin Franklin. His birthday is January 17th. What a great way to celebrate his birthday learning about this very important discovery by doing an easy electricity science experiment! 1. Measure one teaspoon of salt and one teaspoon of pepper and mix on a paper plate. 2. Rub the plastic spoon VIGOROUSLY across the product. 3. Wave the spoon about an inch or so above the mixture of salt and pepper on the paper plate. Every item has atoms. These atoms have electrons, which are negatively charged, orbiting their nucleus. When items come in contact with each other, they can transfer electrons. In this case, the item losing the electrons – the wool product – becomes positively charged. While the spoon, which gains the negative electrons, becomes negatively charged. The salt and pepper are positively charged. As you wave the negatively-charged spoon slowly over the positive-charged mixture, the mixture will be attracted to the spoon. However, the pepper is lighter than the salt, in weight, so it will be the only part of the mixture that ends up on the spoon.